T he massacre was preceded by a period of increasing tensions. Based on their experience of past strikes, the UMWA leadership sought to keep the strike peaceful in order to avoid the state calling out the militia. In contrast, the coal companies wanted the militia to be called out. The coal companies and their private detectives (the Baldwin-Felts Company from West Virginia) initiated a campaign of harassment in order to goad the strikers into violence. This campaign included shooting up tent colonies with the "Death Special," an improvised armored car, lighting up the tent colonies with searchlights at night, and intimidating strikers and their sympathizers. The "Death Special." 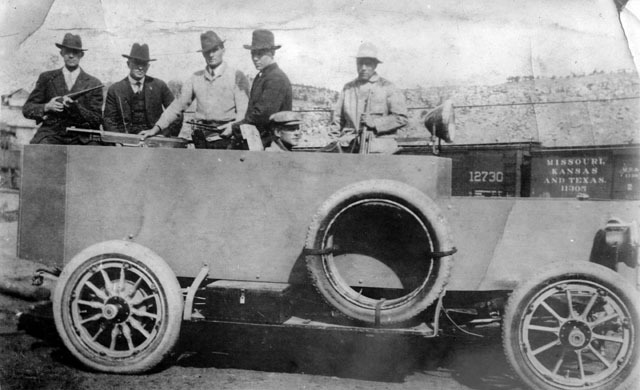 This was an improvised armored car built by private detectives using the CFI plant in Pueblo. 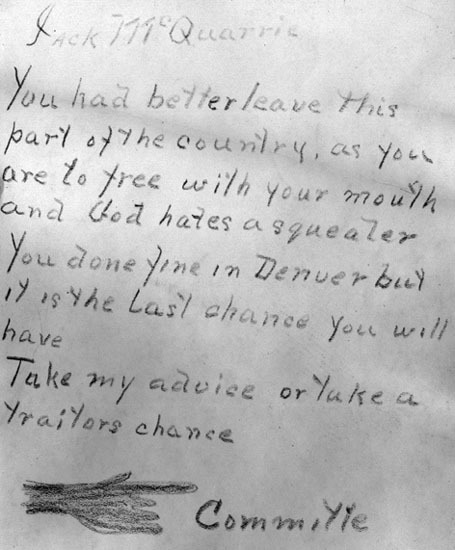 A "Black Hand" letter written to a striker sympathizer.